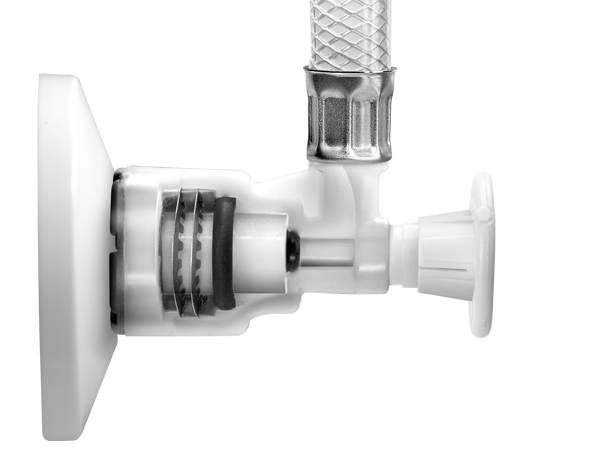 ACCOR’s patented PUSHON technology makes its valves and fittings the fastest, most reliable, lead-free supply stop system for connecting faucets, toilets and appliances. Plumbers save time and eliminate call-backs. 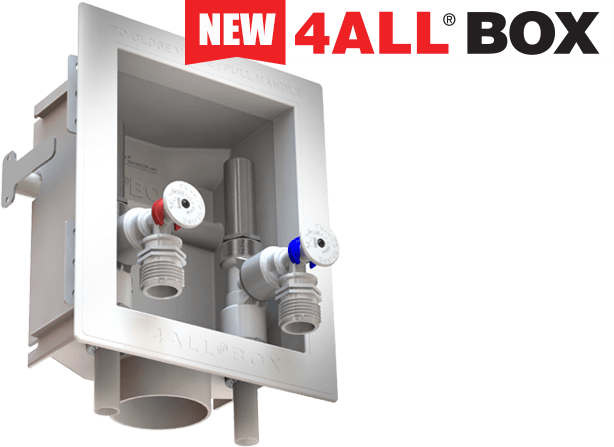 A Better Way to replace old or leaking compression valves. The ONLY stop valve that installs over the old brass ferrule, no tools required. 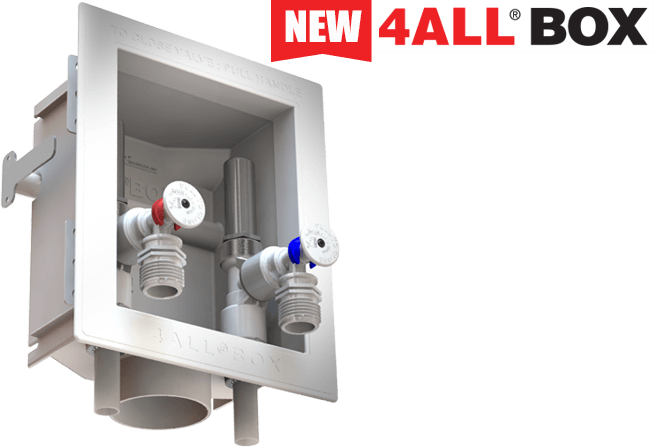 A proven solution for connecting plumbing fixtures and appliances to piping systems. Worries about leaks in a new home shouldn’t keep you up at night. With ACCOR’s factory-preinstalled connectors, you’re guaranteed to have virtually no callbacks. 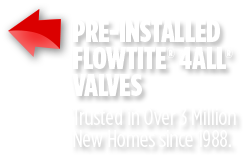 Keep your room downtime to a minimum by replacing old compression valves quickly and effortlessly. And there’s no better answer to the headaches of the old brass ferrule. Save labor costs and avoid project delays due to plumbing issues. 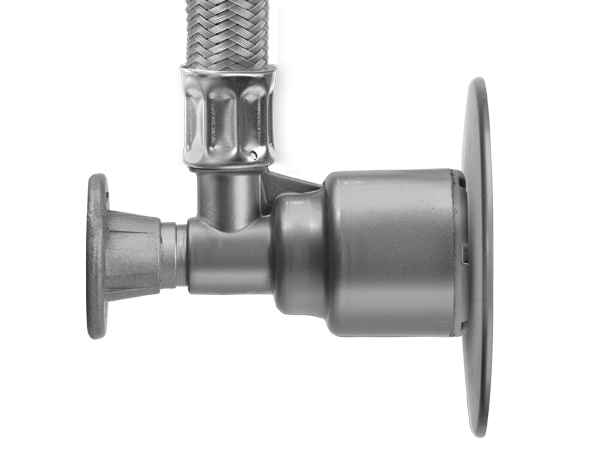 ACCOR’s push-fit stop valve is a cost-effective and efficient alternative to the old, brass compression valves. When even one toilet repair can lead to the water shutoff for an entire building or wing, a fast solution is essential.  Replace old compression valves quickly and easily, without cutting into the wall. THE BEST WARRANTY ON THE MARKET. 10 YEAR LIMITED RESIDENTIAL WARRANTY INCLUDES LABOR. 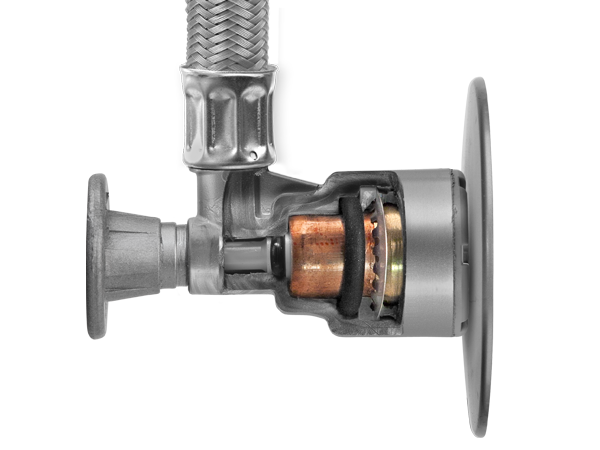 VALVE STRENGTH TESTED TO 1000 PSI AND INSTALLED IN OVER 2.5 MILLION NEW HOMES. THE ONLY VALVE WITH TWO STEEL RINGS OF SHARP TEETH WITH TWICE THE HOLDING STRENGTH. SLIDE ON PIPE HOLDER RING, PUSH VALVE ON. SIMPLE. MADE WITH PRIDE RIGHT HERE IN THE USA. 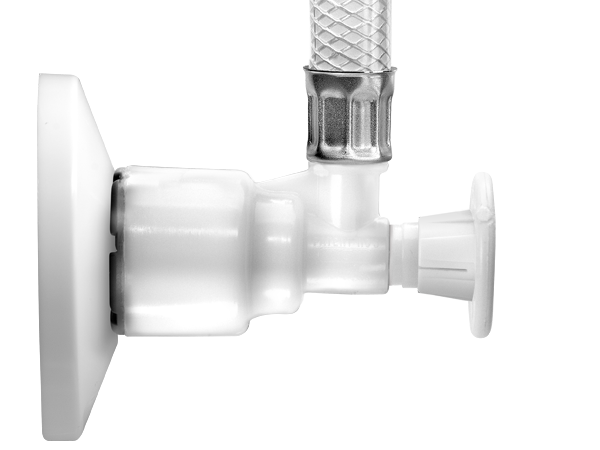 Built for Speed and Performance, ACCOR is the complete solution for connecting plumbing fixtures and appliances to your piping systems. 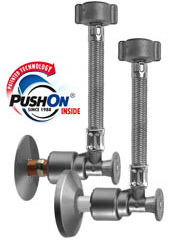 Unique, patented PUSHON Technology enables ACCOR products to be the fastest valve/fitting installations, eliminates use of tools and secures to pipe with double the gripping power. 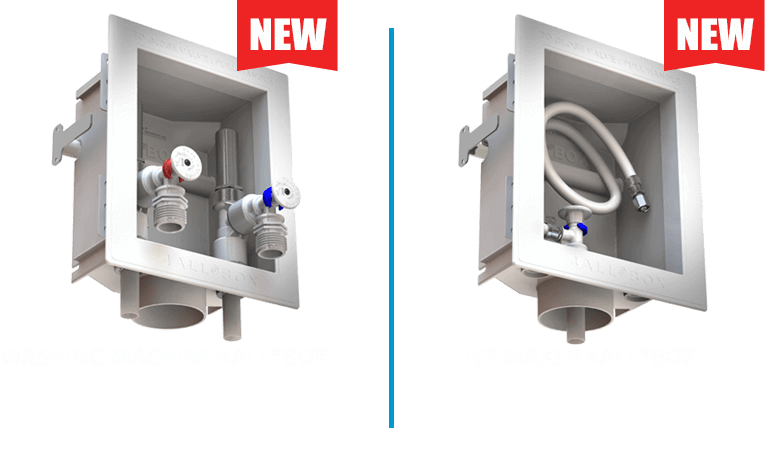 Pioneers of Push-fit, ACCOR Technology is dedicated to creating innovative plumbing solutions that are 100% American-made and of the highest quality.